I like to eat, find new & exciting places, and share my experiences. In the heart of downtown St. Louis there are lots of great restaurants and probably hundreds of places to get a burger. However there is only one like this. 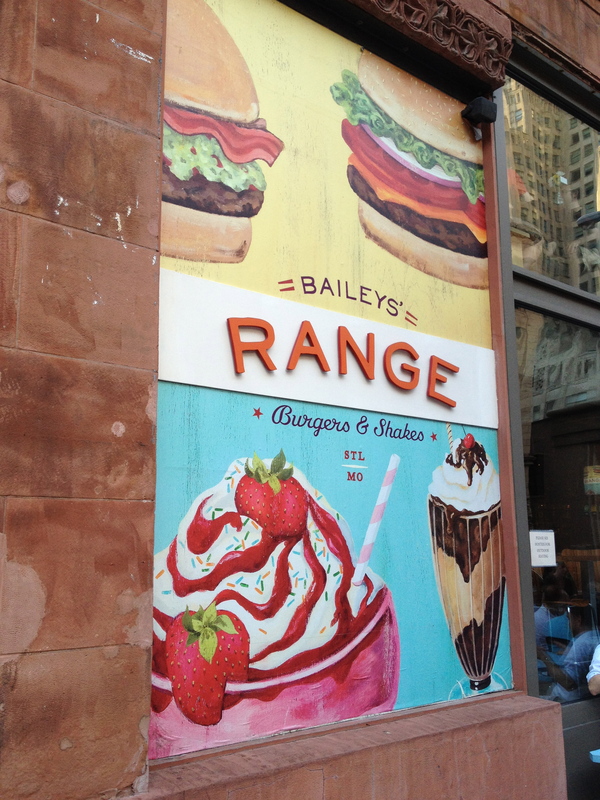 Bailey’s Range is a totally unique take on the “burger joint” concept. SUPER fun atmosphere, dozens of gourmet burger options (and more…) as well as great ice cream & milkshakes! This place gets it right! I think what I liked about Bailey’s immediately is that it did not take itself too seriously. 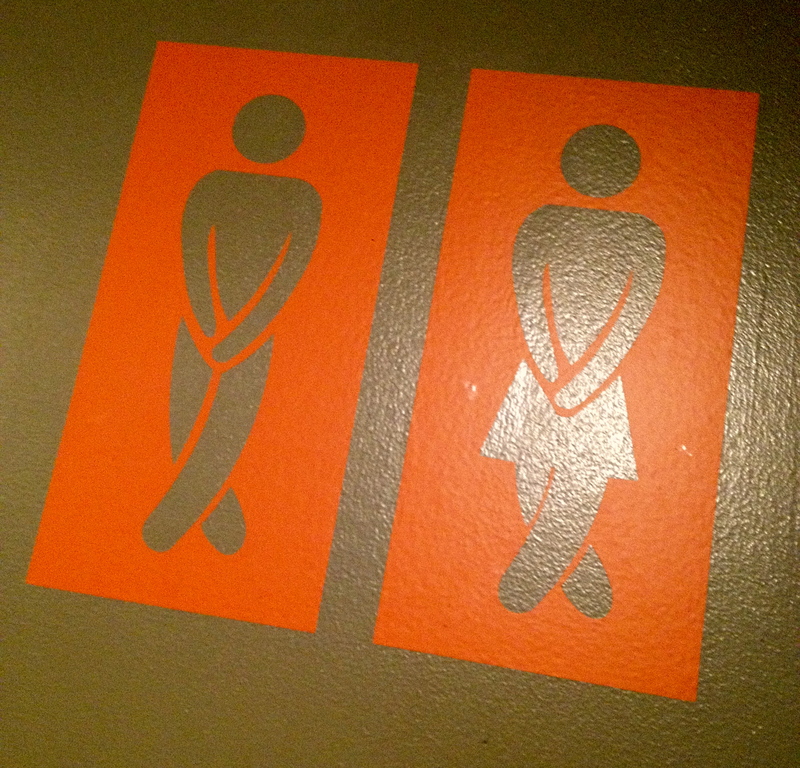 The walls and floors are almost all natural or industrial, and the bathroom door made my friends laugh out loud! The “wall” between the kitchen and the dining room is made up of dozens of old house windows, hung in rows by wires from the ceiling, making for a cool effect! Another interesting way they keep the casual vibe is the fact there are NO water pitchers or waiters going around filling up your water. Instead, they have very plain bottles (either old wine or whiskey looking bottles) with cold water on the tables. And mason jars for glasses so you can just pour your own whenever you would like and they replace the bottles when the are empty. The food was fantastic. 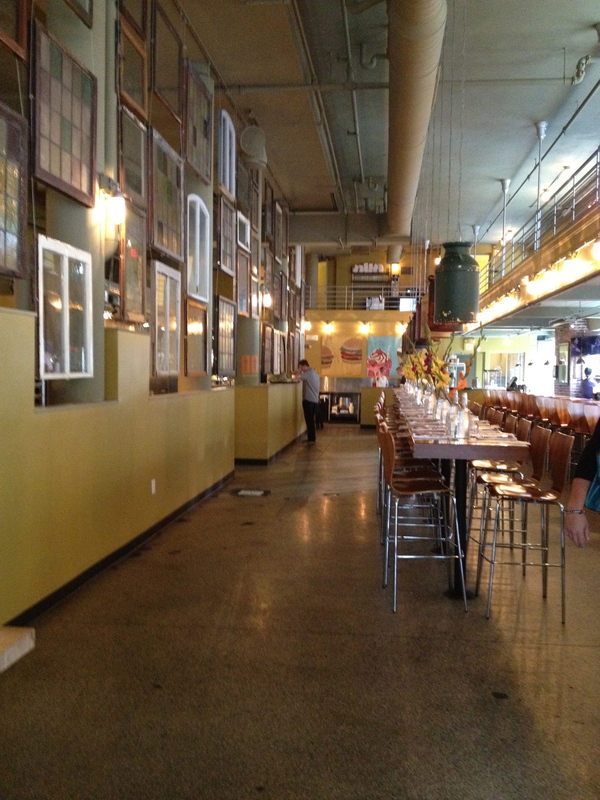 (See their MENU) We had a party there of at least 45 people and everyone was raving about it. 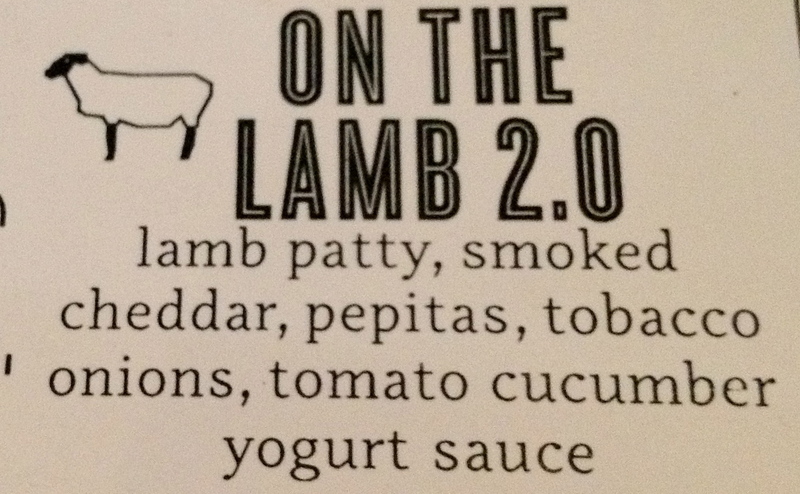 I decided to go in a different direction from a typical beef burger and try their special for the day, “On The Lamb 2.0” which looked and tasted like a great burger but with a little bit more “zesty” flavor to the meat. 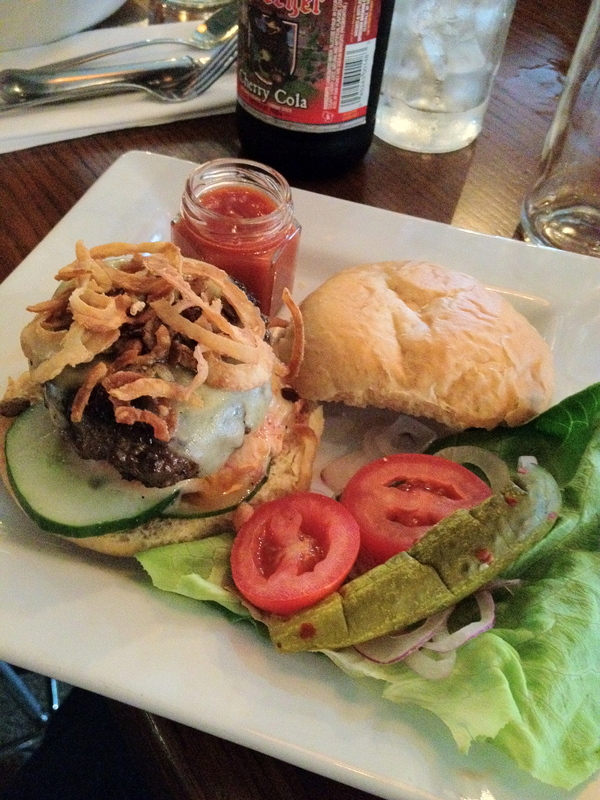 Topped with fried onions, veggies and homemade ketchup, it was delicious!! 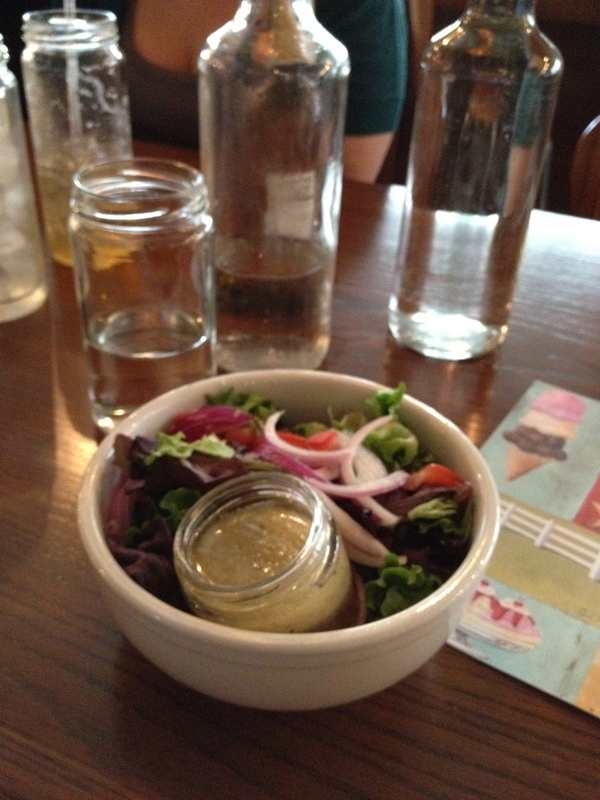 I had a side salad with it instead of fries (so I could enjoy the burger without worrying about being too decadent) but others around me got huge bowls of fries and washed it all down with one of the hundreds of gourmet sodas they have or with their famous milkshakes and 100% HOMEMADE Ice Cream! This entry was posted in review by Jeff Cruz. Bookmark the permalink.